Mount Gibson Iron’s two-year reconstruction and dewatering effort is coming to a positive end, with sales due to recommence in the March quarter of 2019. After almost four years underwater, the Koolan Island iron ore project in Western Australia is projected to recommence iron ore sales during the March quarter of 2019. The island mine was flooded after a seawall collapse at the end of 2014 opened the pit to the Indian Ocean, halting all production and causing the immediate layoff of 300 workers. 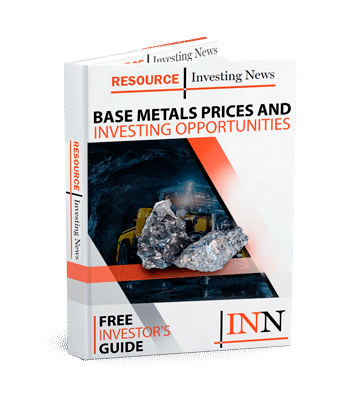 In its financial year report, owner Mount Gibson Iron (ASX:MGX) said it expects iron ore sales from the mine to start during the March 2019 quarter after a two-year, AU$100-million reconstruction effort. According to a 2017 feasibility study, the restart efforts were worth the trouble. It showed that the mine had a mineral reserve of 12.8 million tonnes grading 66 percent iron. But even better, in April this year that ore reserve was increased by 8 million tonnes, to 21 million tonnes grading 65.5 percent iron. As of Wednesday (August 15), the company is currently pumping seawater back out of the mine at a rate of 1,500 liters a second with the task set to be complete by the end of December. “We are now dewatering at a rate equivalent to emptying an olympic-sized swimming pool every half hour,” said Breyer. The seawall that collapsed has been replaced by a new one with a concrete seepage barrier installed in mid-July to hopefully prevent a repeat of 2014’s disaster. Commencement of sales from Koolan will come along just in time for Mount Gibson, which in its yearly report said that its Mid-West operations, also in Western Australia, will wind down, with final shipments expected in the same quarter that Koolan kicks off. On the Australian Securities Exchange, Mount Gibson was trading at AU$0.495 as of market close on Wednesday — a jump of 8.79 percent. Image courtesy of Mount Gibson Iron.